Cannabis Oil, Marijuana Oil, Hemp Oil, CBD Oil, Hash Oil, Rick Simpson Oil, Phoenix Tears, CO2 Oil, FECO, Full Extract Cannabis Oil…if any of these terms are confusing to you, you’ve found the right post! A fellow advocate friend who manages a medical marijuana dispensary recently had a major television news team visit. Prior to the interview the reporter was obsessed about what she called “the oil.” The camera crew HAD to photograph “the oil.” Much as my friend tried to explain there is no single “oil,” the reporter was still insistent. I too get the question all the time, “Where can I find cannabis oil?” This usually comes on the heels of a cancer diagnosis. Then they will usually say, “You know the cannabis oil for cancer.” Or, “the marijuana oil for autism.” Or “the cannabis oil for epilepsy.” Or whatever malady they are trying to cure. 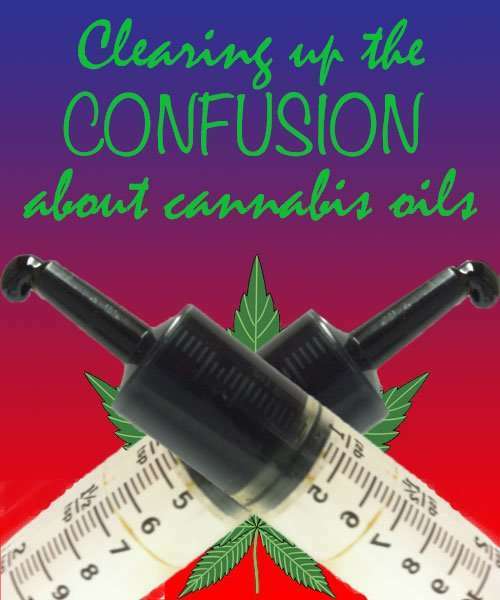 In order to clear the confusion of what it means when you say “marijuana oil” or “cannabis oil” there is a need to be more specific. The semantics can be confusing, especially to someone who does not have a lot of knowledge about cannabis. Sadly, as in my friend’s experience, this often includes members of the media. So in order to clear up some of the confusion, here are some of the typical “cannabis oils” you are likely to encounter. As you can see they are produced in very different ways. Yes, they all have medicinal benefits, but the concentrations and potencies of the various products vary widely. Here is what you are likely to encounter. At it’s most basic this is any kind of edible oil, infused with marijuana. 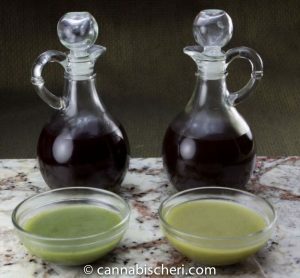 Infused cannabis oils are most often used in cannabis cooking. Find directions on how to make it here. Under this broad heading of “hash oils” one can find many variations, usually in textures. 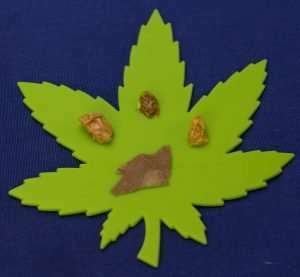 Wax, earwax, shatter, honey oil, and budder all fall into this general category. You can cook with these oils but more often than not they are “dabbed.” For the uninitiated that means dropping a “dab” of concentrate onto a heated nail (usually glass or metal) and the vapor inhaled. Dabbing necessitates a torch, glass dabbing rig (a specialized bong outfitted with a nail). Because of the combustible qualities of butane, used to extract the THC, BHOs can be hazardous to make, and manufacturing them carries serious felony charges. BHOs carry a strong concentrated high. BHOs have the same medicinal benefits of other forms of cannabis and seem to be especially useful for those with serious chronic pain or other conditions that need more potency. 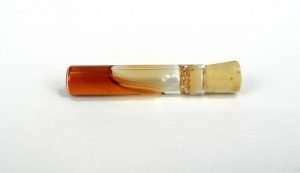 This hash oil is made using a CO2 extraction process. For purity and potency, looks towards CO2 oil. The process of extracting CO2 oil happens retains more of the cannabinoids and terpenes for a better flavor and additional medical effects. Use CO2 oil for vaporizing, or in edibles, or capsules that you swallow like a vitamin. For patients especially, CO2 offers a cleaner option without the risk of potentially carcinogenic residual solvents than BHOs or Rick Simpson Oil (see below). Check with a reputable dispensary for cannabis CO2 oil. Usually when someone writes to me asking about “the oil,” they are talking about Rick Simpson Oil, named for the man who popularized its use after curing his own cancer. Also known as “Phoenix Tears,” the evidence on RSO is all anecdotal, but the internet is filled with miraculous stories. Solvents like hexane, naphtha, or isopropanol – chemicals that should not be orally ingested, are typically used in the Phoenix Tears extraction process. While in theory all of the solvents should have evaporated out of the final product, lab tests in California have indeed found octane and even benzene, a known carcinogen, in some of the Phoenix Tears samples. But for the many folks who don’t have access to these kinds of pure solvents or the sophisticated equipment needed for CO2 extraction, Phoenix Tears is an easy, inexpensive concentrate for anyone with about a pound of flowers to make. And desperate times often call for desperate measures. The highly concentrated tar-like RSO is typically consumed orally or used topically. If you are going to make RSO I suggest using a food grade alcohol, such as Everclear as the solvent. In addition, a cannabis topical is a useful substitute for pain medications which people need badly these days. The documentary “Run from the Cure” chronicles the whole fascinating story of how Simpson came to use this medicine along with his quest to make cannabis therapy available to all, despite the legal and bureaucratic obstacles blocking his way. Very similar to RSO except made with a food grade solvent such as Everclear or food grade alcohol. Because of this fact, FECO is recommended over RSO. This is a highly potent, tar-like substance that can be taken orally or topically. This is blanket term for any oil high in Cannabidiol or CBD, with little to no THC. Just as in the general term “cannabis oil,” CBD oil is extracted with solvents such butane or CO2. While having many medicinal effects, CBD is non-intoxicating, meaning it won’t make you high. Generally. Dr. Raber has talked of cases where CBD actually can convert to THC in the digestive system. Also even high CBD strains of cannabis will contain some THC-A. While most people won’t feel the any psychoactive effect, some highly sensitive individuals might. Some confusion comes in when people called CBD infused cooking “CBD oil.” But the term CBD oil usually refers to a thick concentrate extraction. This is CBD oil derived from the hemp plant. While it is true that hemp has more CBD than THC, it is not rich enough in either. The claims about hemp based CBD oils are dubious at best and patients are far better advised to stick to CBDs derived from cannabis or what is now branded as phyto-cannabinoid rich hemp (which is the same as low THC cannabis). For more information on the difference, check out this article. Highly nutritious hemp oil contains only trace amounts of THC and will not get you high. 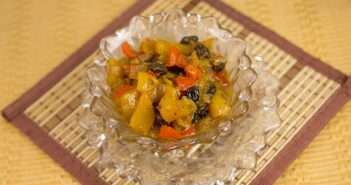 It is a potent health food and used in lots of other industries including cosmetics, fuels and plastics. Hemp oil, pressed from hemp seeds, is almost always commercially produced. I need to know more about what oil can assist me with severe atheritus pains. Well everyone responds to cannabis differently. But a lot of folks I talk to with that kind of pain do well with edibles, so I would try making some cooking oil and making some edibles you can use, especially before bedtime. Some cannabis topicals might also help. It’s been a rough road and along the way I have tried to expand my options by exploring ways to supplement my traditional medical treatments, because i have been told about cannabis oil and how it has save many life. You failed to mention whether CBD oil can be used for Cancers . It can be, some people use it that way, evidence is anecdotal. But I ALWAYS prefer whole plant and a mixture of CBD and THC, both have medicinal properties that work best synergistically. As far as CBD hemp oil, I would say no. CBD cannabis oil, maybe but whole plant is best. CBD-only is not the cure-all the public seems to think. You left out FECO made from food grade alcohol; a much better alternative than butane for people making their own oil without ccess to a vacuum chamber to purge the residual solvent. No I didn’t. It is covered under the RSO entry. What kind do you use for RSD pain without THC in it so you have a clean urine test? No idea. In my opinion THC is necessary so if you have to pass a drug test, this may not work for you. Sad that our government does that to its citizens. I am going to ask the author, RN Lanny Swerdlow his opinion, but pretty sure he will agree with the need for THC. Not what you want to hear I know. Stay tuned. “Nothing to add except to encourage your reader to get involved both with their time and financially with marijuana reform groups so he or she will not have to ask that question anymore. 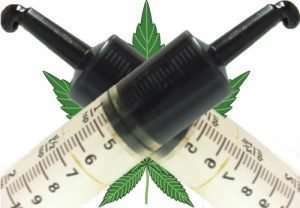 RSO gives detailed instructions on dosage for medicinal purposes ingest the full 60 gram or 60 ml oil within 90 days using a ramp up where at the 3-5 week point a person is digesting 1ml per day. Would the same dosing be followed for FECO or CO2 oil? I am not a doctor so cannot give you specific dosing advice. That said, this seems like a good place to start, and ramping up is certainly advised. Not all FECO is RSO but all RSO is FECO. besides the types of solvents used, RSO is decarboxylated, while CO2 oil and other types of FECO generally are not. 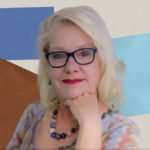 Thanks Cheri – is there a way to measure the cbd in generic cannabis oil, like you would measure thc? You mean can you estimate the CBD content like you can estimate THC? No, not really. CBD values in cannabis are all over the map and you can’t feel the effects like you do THC, so a lab test is necessary. Now once you know the percentage of CBD you can then use my dosing calculator, the same way you would for THC, to calculate how much CBD per serving. There is no single answer as everyone responds differently and at different doses. A sublingual tincture will be faster acting, but it is best to try and see what works best for your condition. People can make whatever choices they like. However, I deal in facts. Also, a lot of people are also under the misguided notion (and CBD marketing hype put out there by unethical companies does not help) that CBD does everything that THC does, and this is simply NOT true. The fact is that if someone is able to take THC with their CBD that is a better choice (although they are certainly free to use whatever they want), because the FACT is that CBD works better in the presence of some THC. 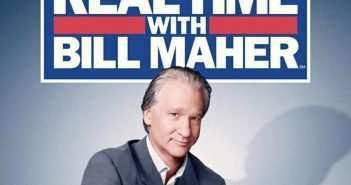 More on that in this article. Yes. Although the type of hemp makes a difference. Resinous phytocannabinoid rich hemp is (this is just another word for low TC cannabis). Find more information in this article.